The BLM announced some good news for Colorado’s native cutthroat trout and big game populations on June 22 after reaching a settlement in the lawsuit filed by oil and gas company SG Interests over the cancellation of 18 leases to drill in the Thompson Divide area of the White River National Forest near Carbondale, Colorado. The leases covered more than 21,000 acres (about 33 square miles) featuring prime big game habitat and native cutthroat trout streams in watersheds providing source water to the Crystal and Roaring Fork Rivers, as well as local communities. Leases to drill in the Thompson Divide were improperly issued by BLM in 2003. 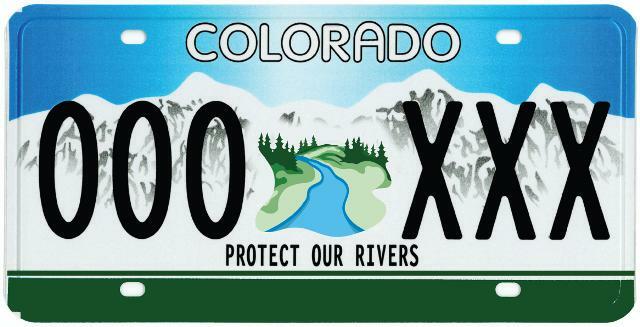 A coalition of county and local governments, ranchers, local businesses, sportsmen and citizen groups – including Trout Unlimited – mobilized and worked for years to protect the Thompson Divide. BLM ultimately recognized that the leases had been issued in violation of the law and cancelled them in 2016. In early 2017, SG Interests filed a lawsuit in U.S. District Court to challenge BLM’s decision. Under the settlement, SG agrees to dismiss its case in exchange for a payment of $1.5 million from the federal government. The settlement compensates SG for investments made toward developing the leases but leaves the 2016 lease cancellations in effect. The Thompson Divide area stretches across Pitkin, Garfield and Gunnison Counties and encompasses no fewer than nine National Forest roadless areas. The area includes habitat for deer, elk and a variety of sensitive wildlife species, including cold water streams vital to native cutthroat trout. Because it supports recreation, ranching and other local industries, the Thompson Divide produces an estimated 300 jobs and pumps more than $30 million into the local economy. While the settlement is an important step toward protecting the region, it does not end the threat posed by oil and gas development. Sen. Michael Bennet introduced legislation last year (S.481 - Thompson Divide Withdrawal and Protection Act of 2017) to permanently protect the Thompson Divide. With the specter of SG's 2003 leases and lawsuit no longer hanging over the area, Colorado TU hopes that his bill can gain momentum so that this treasured landscape can receive the lasting protection it deserves.